Anderson Creek Primary School’s cafeteria, in partnership with McDonald’s, sponsored a raffle drawing in November to encourage students to eat healthy. Two scooters were given as prizes in a raffle drawing. For each day of November 3–7 that… a student ate breakfast in the ACP cafeteria, his/her name was placed in the drawing. One lucky boy and girl won the grand prize at the end of the week! 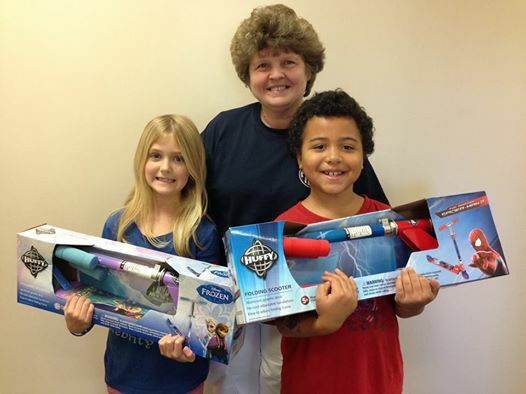 The prize winners were Virginia Massengil and Joshua Wilkerson and they were presented with their gifts by the ACP Cafeteria Manager, Betty Hamilton.